Jury Rejects "Jokester" Defense, LIVINGSTON, November 31, 2016 - On November 29th, a Polk County jury found 44 year-old Roechalle Rowe of Livingston, guilty of the offense of possession of a controlled substance. 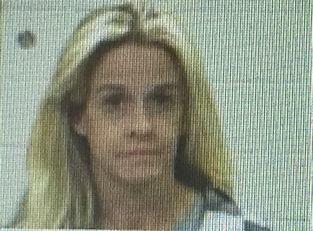 Rowe, who took the witness stand and testified on her own behalf, claimed that she refused the arresting deputy’s invitation to take a drug test because her husband was a “jokester” who liked to hide methamphetamine in food and drinks that she consumed as a joke. Polk County Sheriff’s Deputy, Billy Duke, testified that after he arrested Rowe in 2013, she admitted to using meth in the past and that she knew that her husband, Robert Rowe, was a meth dealer. Robert Rowe is currently serving a 15 year prison sentence on an unrelated drug charge. Deputy Duke also testified that prior to Roechalle Rowe’s arrest, the residence she occupied with Robert Rowe on Twin Creeks Road in Livingston, had been under surveillance for suspected illegal narcotics activity. A subsequent search of the Rowe residence yielded a State Jail Felony amount of methamphetamine, opioids, drug paraphernalia and a loaded Smith & Wesson revolver that Mr. Rowe brandished as deputies entered the house. “Despite the unfortunate reality that methamphetamine use continues to plague our community, I am encouraged by the efforts of local law enforcement and jurors who do all that they can to address the problem,” stated Assistant District Attorney, Tommy L. Coleman. Coleman successfully prosecuted the case. Roechalle Rowe’s case has been reset for a sentencing hearing in January.